Start your career as a vital part of the healthcare industry - Study to become an ASCP-certified phlebotomist. Are you a naturally empathetic, compassionate individual, able to reassure and comfort patients who may be suffering from an illness, whether a cold, infection, or chronic condition? Do you enjoy helping a diverse array of people in a professional, friendly manner? Are you detail-oriented, able to imagine yourself keeping track of labels, patient information, and equipment maintenance? Learn how you can acquire the skills and training to become a phlebotomist, through PCC's Institute for Health Professionals. Phlebotomists play an important role in the healthcare industry, with a median salary of $30,670 in 2014, and an expected growth of 27% from 2012 to 2022, according to the Bureau of Labor Statistics. Becoming a certified phlebotomist provides excellent technical skills that you can put to good use over the course of your healthcare career. Begin your career as a nationally certified phlebotomist by enrolling in the Institute for Health Professionals’ two-term Phlebotomy Technician course. The Phlebotomy Technician training consists of two courses that span two terms, totaling 190 hours, that will prepare you to pass the American Society of Clinical Pathology (ASCP) exam and become a nationally certified phlebotomist. Term I is a 90-hour course consisting of both classroom and lab work. Term II is a 100-hour clinical rotation. You must successfully complete Term I to enroll in Term II. Students will be supervised by laboratory personnel for a total of 100 hours in a hospital, physician office, outpatient facility, or other site approved by the Institute for Health Professionals. A minimum of 100 successful, supervised blood draws must be completed. At the end of the clinical rotation, you are prepared and eligible for the national certification exam through the American Society for Clinical Pathologists. Holding the national certificate greatly enhances employability in the field. 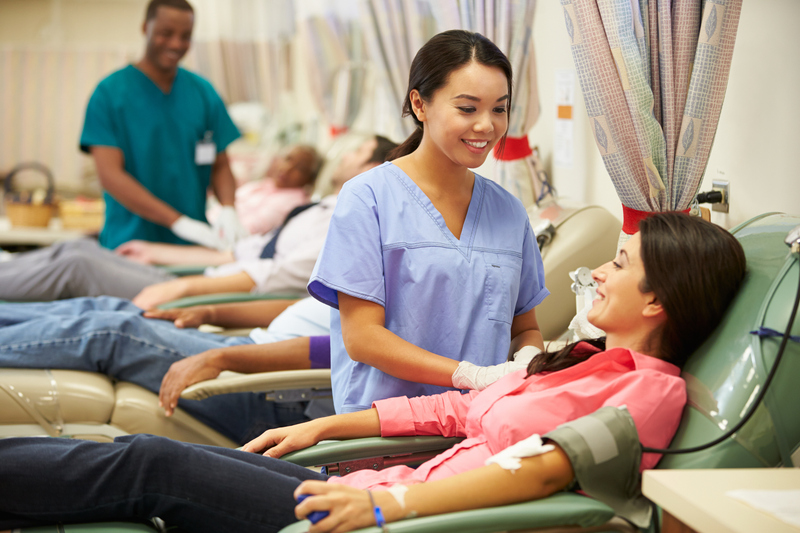 Who is Right for the Phlebotomy Technician Training? This training is a good fit for level-headed individuals that want to work directly with patients in a fast-paced, entry-level medical setting. 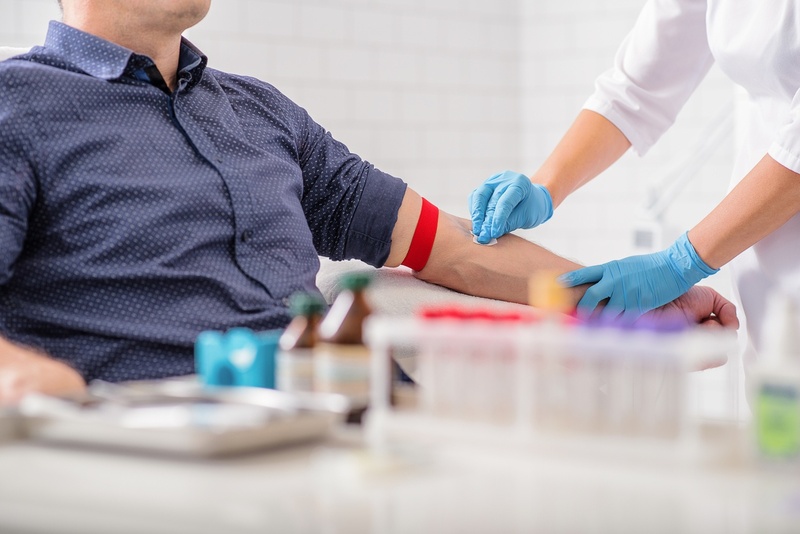 Many patients are afraid of blood draws, so you must be able to present a calm, friendly, and professional demeanor that will put them at ease. Only individuals who meet or exceed the minimum requirements listed in the How to Enroll section and submit a complete application packet will be considered for admission. Please carefully read over the requirements before applying. Tuition is due at the time of registration or student may set up a 3 month payment plan with the Portland Community College Business Office. For information about the payment plan, please visit the PCC Payment Plan webpage. Olga Hice has been an instructor of Phlebotomy at PCC CLIMB for 6 years. She provides the best quality of education by staying up-to-date on trends and industry standards through continuous professional education with multiple specialty organizations such as the ASCP, AMA, ACC, and many others, and works with leading hospitals and hospital systems. For her, teaching is a rewarding way to make a difference in someone’s life and improve patient care in the healthcare industry. She spends her free time with family, and loves to travel. There is an application process. Complete the form on the right for more information on how to apply. Interested students may also learn more at a Phlebotomy Free Informational Session at the CLIMB Center. Create an account if you are not a PCC student. Mail, deliver, or email a complete Application Packet, which can be found here once registration opens. Include all required documentation, noted on the application checklist. Make sure you submit the application by the due date noted on the application. What should I do next to get into the training? If you are not a PCC student, you must create an account to get a "G" number (identifying number) along with a PCC email account. To do this, go to non-credit-registration and select the "Create your account” tab. Mail, deliver, or email a complete Application Packet, which can be found here once registration opens. Interested students may also learn more at a Phlebotomy Free Informational Session at the CLIMB Center for Advancement, 1626 SE Water Ave, Portland, OR, 97214. After review, qualified applicants will be invited to interview for a space in the program. A background check will be conducted on students selected to interview and tentatively selected for the course. You must complete and submit a background check within 7 days after the interview to receive final approval and acceptance into the course. Instructions to obtain a background check will be provided to selected applicants. Approximate cost to student is $68. Do I need to submit the original documentation of the paperwork required in my application? No. Please only submit copies of your original documents. Up to 20 students per class are accepted. Why do I have to take the Math, Reading, and Writing tests? By requiring all students to take the same tests, we can more fairly determine which students will be allowed into the program. Minimum scores are required for ALL applicants. (Transcripts, College or University degree cannot be substituted for test scores.) To schedule your exam, please contact a PCC Testing Center. Can I find my own clinical? No. We are required to have affiliation agreements with the labs that take our students. We will place you in one of the clinical sites we have affiliation agreements with. The program is 2 terms in length. Term I is composed of lecture and lab, while Term II consists of a 100-hour clinical. Yes! After completion of the program, you will be prepared to sit for the national certification exam through the American Society for Clinical Pathologists. Do I have to submit to a drug screen? Yes. Be aware that the hospital where you are placed for your clinical practicum may require a drug screen test for which you are financially responsible. Also, there are situations where the hospital may require a more thorough background check in addition to the one PCC requires. These potential costs will be your responsibility. Yes. Students who are invited to interview, and are tentatively selected for the course, MUST complete and submit a background check within 7 days after the interview to receive final approval and acceptance into the course. Approximate cost to student is $68.00. What vaccinations do I have to have? For more information, please contact Bem Hanamoto at bem.hanamoto@pcc.edu or 971-722-6627. Interested students may also learn more at a Phlebotomy Free Informational Session at the CLIMB Center for Advancement, 1626 SE Water Ave, Portland, OR, 97214. Contact Bem for information about upcoming orientations.